This is less of a strictly “how-to” post than a sharing of ideas I just couldn’t keep to myself. 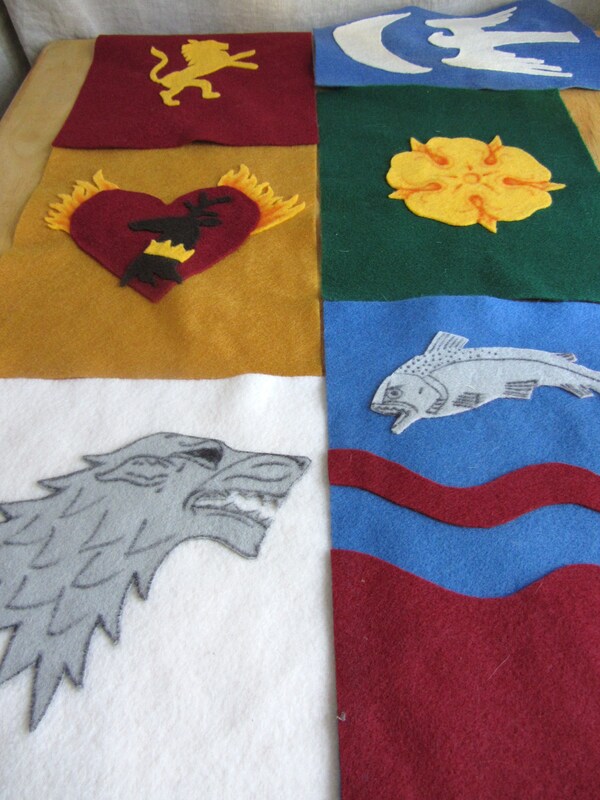 For full instructions on these crafts, check the GoT party planning guide. The shields are painted with basic yellow craft paint, and the hounds are stenciled on with a sharpie. Easy. Silly. Fun. So there you go! Two easy crafts for a successful party. Send us your cool ideas, and we’ll feature them in an upcoming post! 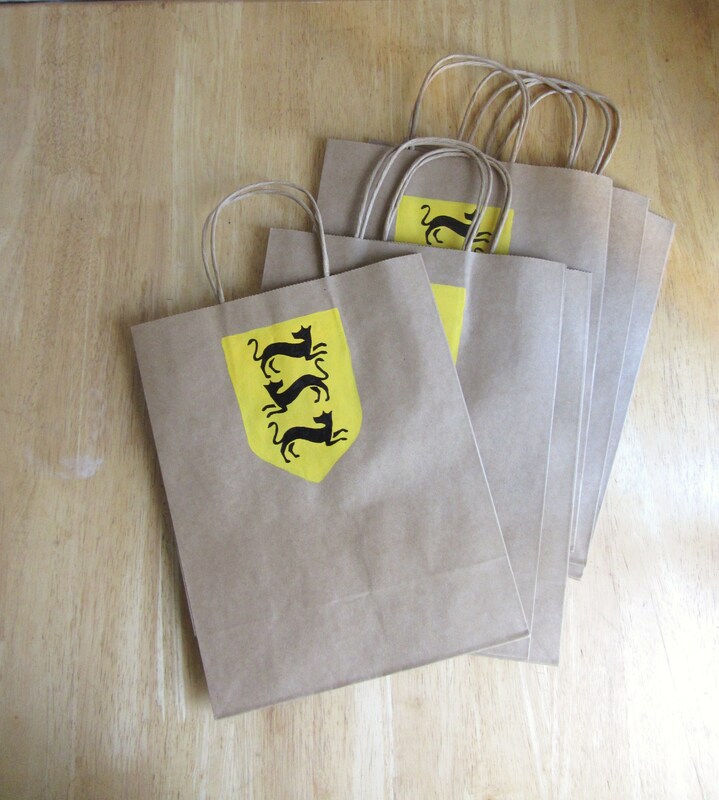 Doggie bags – I love it! I also love how angry the Tully trout looks. You guys are so creative! (I’m sure you knew that already, but after following you for a while I just had to comment at some point.) I just love the idea of your cooking fantasy fare from medieval cookbooks and sharing modern takes on the meals as well. Those placemats are just perfect, from the colors right down to the material! Maybe offering guests bread and salt the moment they walk through the door as a guarantee they won’t be harmed? I LOVE this! Adding it to the suggestions! Pat down all musicians and any Freys or Boltons! Since we do not have a large screen TV, I’m considering a series of mini-parties through the season this year– no more than four guests, plus our family of two. My notion is to start with dishes from the North, and work southward as the weather warms.